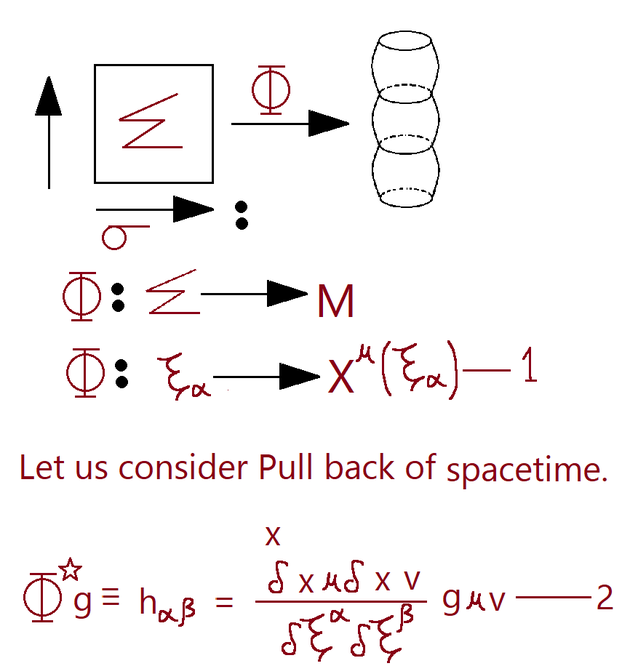 String theory is a theory of quantum gravity. Later on, We will find out that string theory is actually a finite theory of quantum gravity. Since open string theories always contain closed strings. The Strings correspond to Bosons. It requires 26 dimensions for its spacetime. Heterotic E8 � - E8 . All of these theories use supersymmetry. Thus, for every boson, there exists its superpartner fermion and vice versa. String theory naturally exists in D > 4. It can be readily supersymmetric. So that one might hope that string theory could be the UV completion of the standard model. The general argument says, that the only consistent couplings of such particles are those of gravitations. positive mass dimensions are super renormalizable. 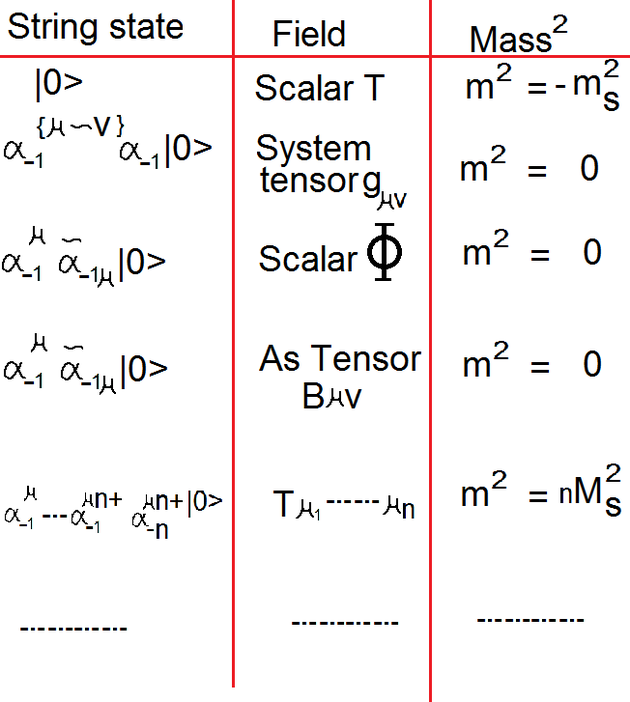 zero mass dimensions are renormalizable. negative mass dimensions are non- renormalizable. Where we treat T as time direction. Now let us assume, Minkowski signature for both spaces though will soon rotate into Euclidean coordinates on the worldsheet. We are thus inspired to use Vol(ξ2) as an action for the relativistic string. This is called Nambu-goto action. = MXμ/√XμXμ = Const,	Equation- 7. We would now like to find the analogous quantization friendly action for the string. This is called the Polyakov action. Which can prove by using det m = expTrLog m.
When that EOM are satisfied, one can take a determinant to prove. Xμ: Worldsheet → Target spacetime. Where, σ,T, are local coordinates on the world sheets. This is meant to be a proxy for a physical quantity like a scattering amplitude for two strings to go to two strings. The data about the external states are hidden in measures, Hence the subscript 'ws' stands for worldsheet. Here α =1,2 is a worldsheet index and μ = 0,...D-1 indexes the spacetime coordinates. 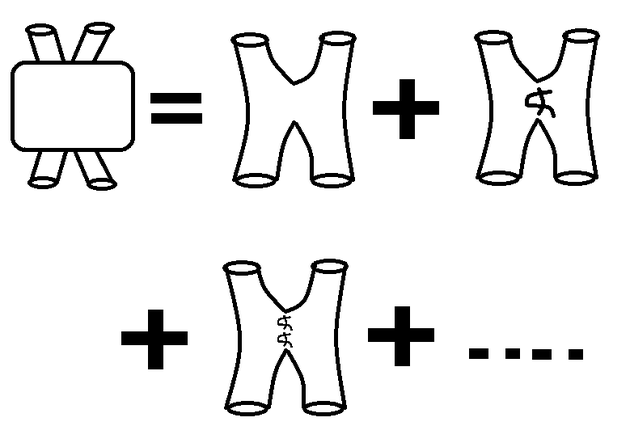 This is solved by superposition of right movers and left movers. We face, the choice ||| BAD > ||2 < 0, or EBAD < 0 Well, Neither is okay, especially since EBAD becomes arbitrarily negative as n gets larger. Now, We can build physical states that results look like. There is a general theorem that massless symmetric tensor like g μν, which interacts must couple to stress energy, and hence is a gravitation using the machinery built from the above picture. This mode can be seen to participate in nontrivial scattering amplitudes, which indeed reduces, those computed from GR, to lower energies. So, string theory, however unwieldy, this description can be, is a Quantum theory of gravity. MLA (Modern Language Association) "Types of String Theory." ScienceAid, scienceaid.net/String_Theory Accessed 23 Apr 2019. Chicago / Turabian ScienceAid.net. "Types of String Theory." Accessed Apr 23, 2019. https://scienceaid.net/String_Theory. Thanks to all authors for creating a page that has been read 265 times.